Brief Synopsis – After being convicted of murdering his wife, a banker is sent to the harsh orison life of Shawshank Prison in Maine where he must try and find a way to survive the way of life behind bars and walls. My Take on it – This film is among my all time favorites and I can watch it over and over without ever getting bored (I actually watched it twice today in preparation for a Podcast on the film). This film is truly amazing in the way that it shows how hope can constantly spring forth even in the most dire kinds of situations. 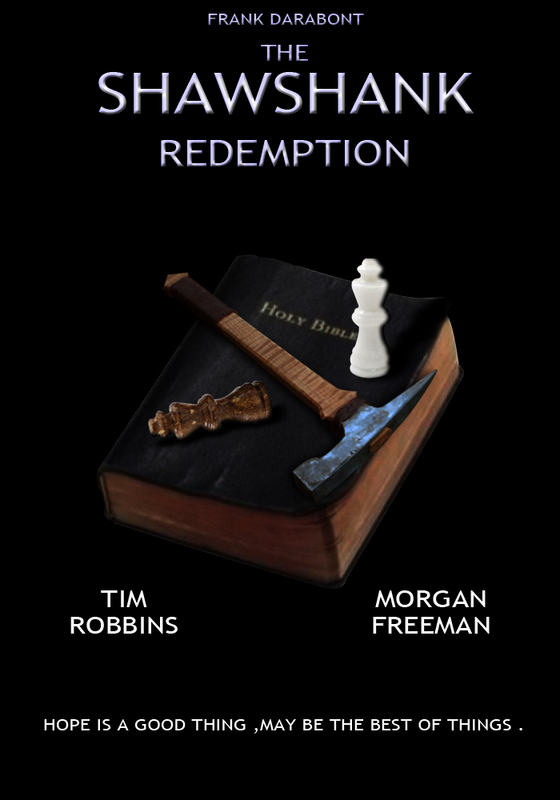 The characters are developed quite well and Morgan Freeman and Tim Robbins are both perfectly cast in the lead roles. It’s actually hard to imagine anyone else playing these roles as well as they did. Freeman and Robbins have superb chemistry together and its easy to believe that their characters are such good friends. The musical score of the film is great and it helps to emphasize the grandiose message of hope and survival that is very prevalent in this film. The plot itself moves along at a great pace and even though this film is nearly 2.5 hours, it never feels boring or that there are unnecessary scenes that hamper the flow. Loved the way that they also manage to throw a bunch of surprises at us along the way that help keep it even more interesting to watch unfold. The narration used in this film works splendidly and it still remains one of the best narrations in film. It allows for the story to move forward and skip in time which is quite essential since the film’s story occurs over more than 20 years. This film has been able ti hold the #1 spot on IMDB’s Top 250 for nearly two decades and rightfully so. This film was nominated for 7 Oscar, but didn’t manage to win any of them in a year where it went head-to-head with Forrest Gump (1994) in just about every category. There is no doubt in my mind that this film is among the best movies ever made. Despite seeing it twice today, I still can’t wait to see it again! Bottom Line – Amazing film that is able to show how hope can spring forth even under the most dire of circumstances. Freeman and Robbins have amazing chemistry in this film and their characters work so well together. Great musical score helps highlight the grandiose message of the film about hope and survival. The plot moves along at a great pace and manages to throw a bunch of surprises at us along the way. Love the way that the narration works so well in furthering the story by allowing time to pass quicker especially when the story takes place over more than 20 years. Still holds on to the top spot on IMDB for nearly two decades. Nominated for 7 Oscars, but failed to win any of them in a year where it was up against Forrest Gump (1994) in just about every category. One of the best movies ever made!!! Highly Highly Recommended! The Shawshank Redemption is one of the first films I ever watched that put me in awe of cinema and made me realise what a powerful medium it could be. so cool to hear that Abs! Great review Rob. I live this movie and really should give it another watch soon. tnx Glenn. appreciate u stopping by and commenting! What a fabulous film this is. Robbins and Freeman are both amazing and the writing smoothly pulls you through the story.